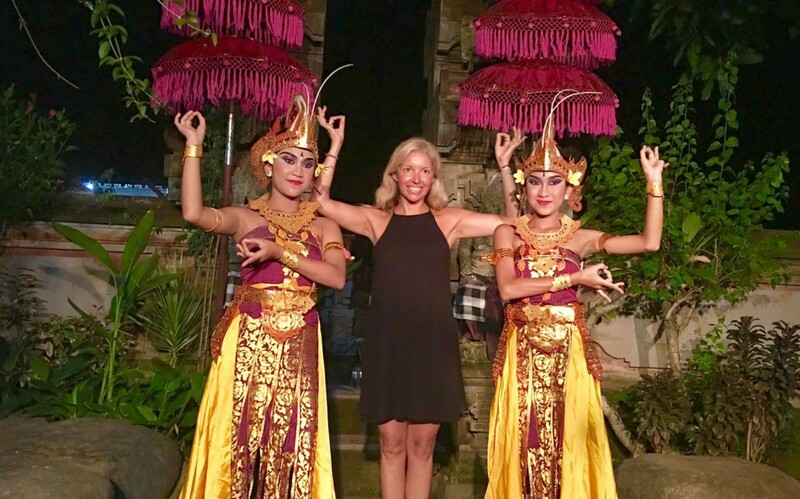 Join me for a complete 3-week soul immersion that eliminates the distractions of daily life for the most profound self-study on the “Island of Love,” Bali. 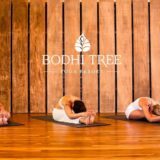 This program is for you if you’ve ever felt called to experience the nurturing energy of Bali Bundra (Mother Bali). Not everyone is pulled to Bali. Only you know if you are. Listen to your heart. Come play! In our intimate Kula (community of the heart), we will delve into the deepest study of who we are so we can live our happiness in a big way. More than simply mastering some yoga poses (though you will accomplish this), I want to see you become more self-aware and self-confident in the authentic expression of your dharma. This is the part where you find out who YOU are. We are proud to offer various price points, payment plans and scholarships to be more inclusive. Please refer to our financial support page for additional detail. Final balance due before training begins on October 1, 2016. 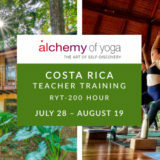 Please e-mail silvia@alchemytours.com to inquire. Cacao Ceremony (Plant Medicine): There will also be a cacao ceremony to open up your heart chakras, for love is the strongest healing power and if your heart chakra is open, then you are assured a profoundly healing experience. Sound healing will accompany the ceremony to harmonize the group vibration and to synchronize your energy with the earth. Bali is an island and the smallest province of Indonesia, and includes a few smaller neighboring islands. It is located between Java to the west and Lombok to the east, and its capital—Denpasar—is at the southern part of the island. Bali is renowned for its highly developed arts, including traditional and modern dance, sculpture, painting, leather, metalworking, and music. 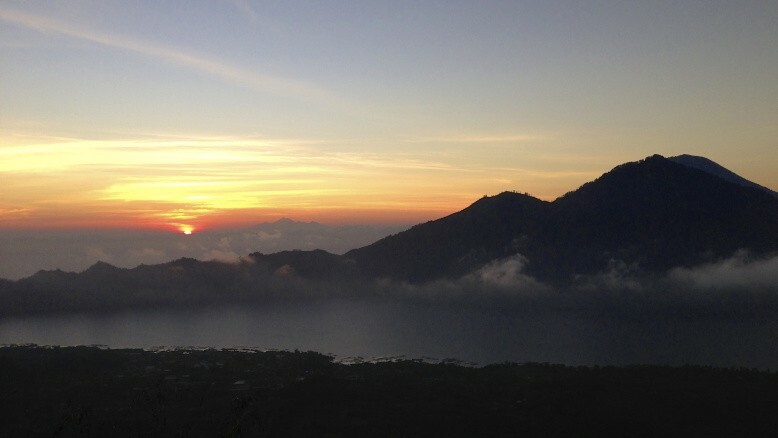 Bali’s central mountains include several peaks over 3,000 meters in elevation. The highest is Mount Agung (3,031 m), known as the “mother mountain” which is an active volcano. 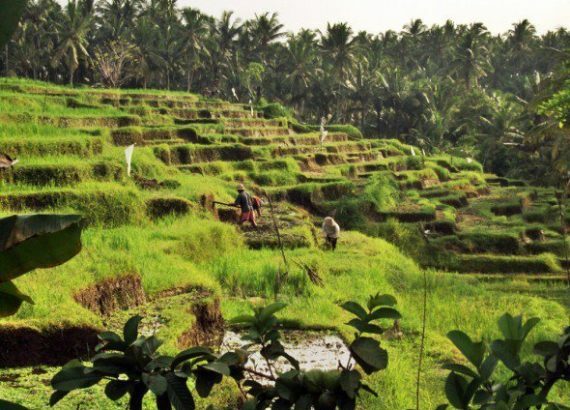 South of the mountains is a broad, steadily descending area where most of Bali’s large rice crop is grown. Ubud is the backdrop to your 3-week yoga immersion. This luxury location is just outside the center of Ubud, surrounded by green and golden rice fields, palm trees, and soothing sounds of flowing waters. It is located 4 minutes from central Ubud and 60 minutes from Denpasar Airport. It maintains a peaceful atmosphere integrated with nature. 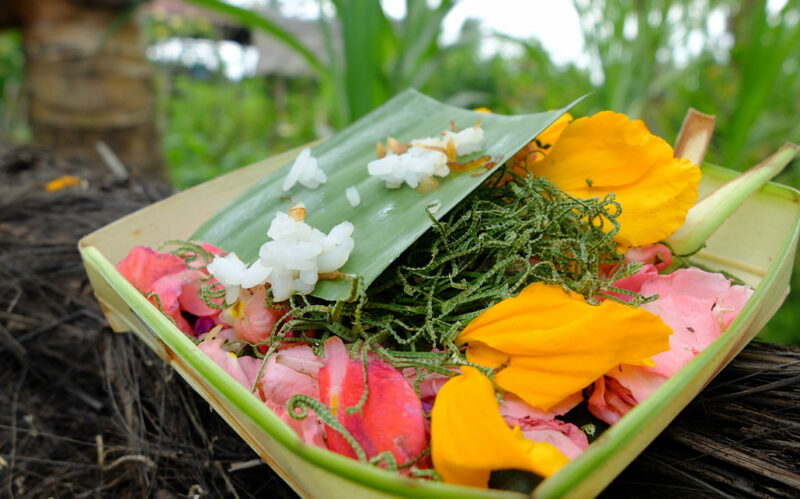 The resort offers you a truly healthy lifestyle with organic meals, inspired by local wisdom. Fresh, clean water for drinking. Bring a water bottle that you can refill to maintain hydration throughout the day. Air conditioning – though we will encourage you to experiment with leaving it off to fully acclimate to the wonder and natural climate of Ubud. Laundry service with 1-2 day turnaround, with per-item pricing and order forms available in every room. Pool & room towels will be provided. Soap & shampoo will be provided, though please bring conditioner as needed. Small refrigerator in each room.